St. John’s Home offers high-quality skilled nursing and a variety of other services to meet the healthcare needs of your loved one. Whether for long-term care or a short stay, our care partner team model, including on-site doctors, skilled nurses, therapists, social workers, and highly trained support staff, always puts your loved one at the center of their care. Since 1899, St. John’s has been a leading provider of high-quality, innovative skilled nursing services for seniors in Rochester, NY. We believe that small community environments are best suited to deliver the rewarding long-term care experience you, your family, and our employees deserve. 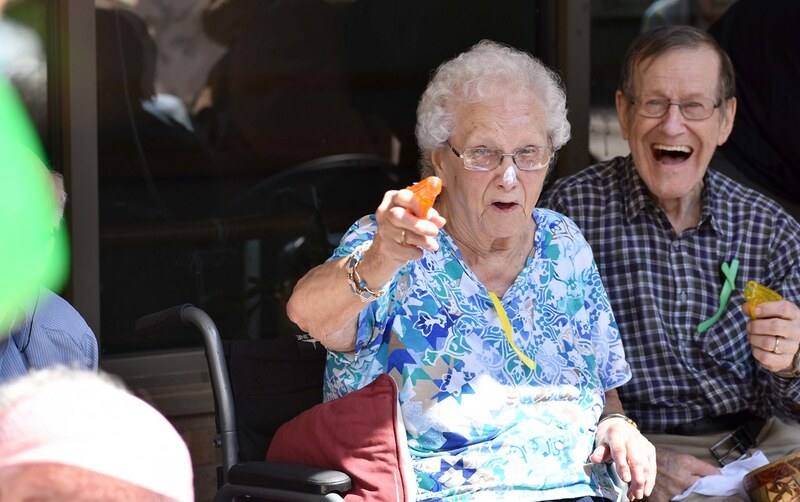 As a registered Eden Alternative® long-term care facility, services are elder-directed with our mission, vision, and values being at the core of all we do. Available services are tailored to your loved one’s individual needs and include nursing, medical, pharmacy, therapy, social work, spiritual care, therapeutic recreation, and beautician/barber services. Providing 24/7 skilled nursing services and long-term care. Helping seniors get back to doing what they love after surgery or a hospital stay. Offering live-at-home seniors a day of activities and companionship in a safe, nurturing environment. Specialized support in a safe, secure, and caring environment. Offering comfort and peace for seniors and families at the end of life.